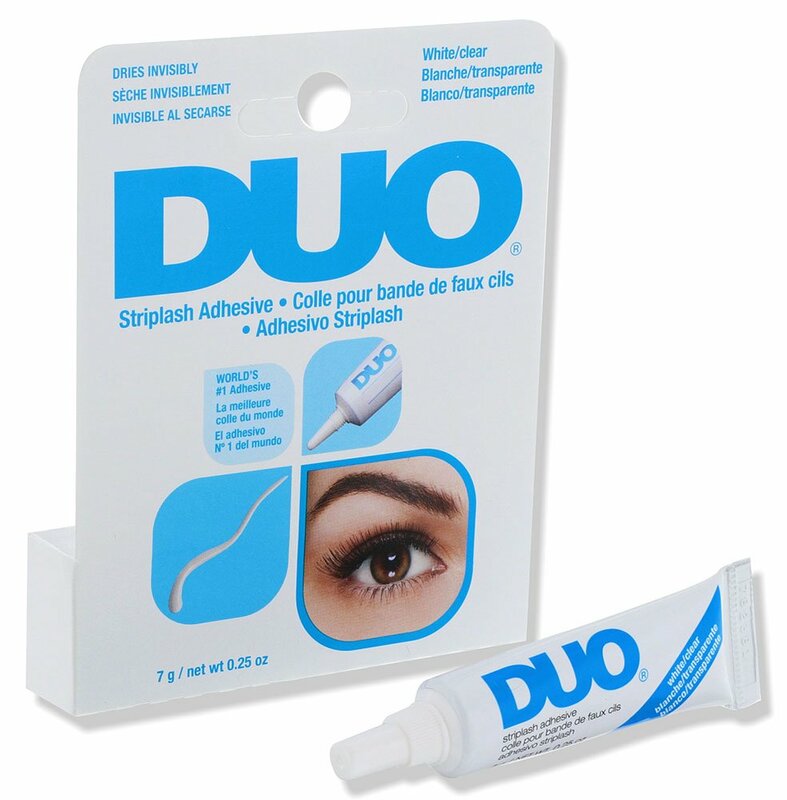 DUO® Striplash Adhesive is the world's best selling lash adhesive and has been a favorite of professional makeup artists for decades. This latex-free formula was created for all-day wear with strip lashes and can also be used to apply individual lashes, lasting several hours. I have been a customer since 2014 and love the high quality of the products. 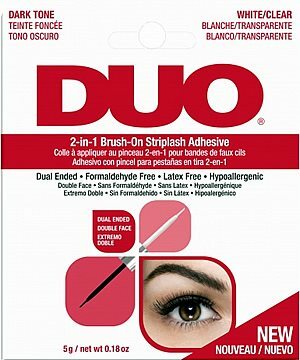 Being a creature of habit, I have always purchased the standard Duo adhesive (dark) for my strip false eyelashes. Two months ago, I decided to try the DUO 2-in-1 Brush On Clear & Dark Adhesive and I absolutely love it!! No more putting adhesive on a toothpick to have better control of the amount. The brush is very fine, and the glue actually dries a lot faster, so less wait time before applying lashes AND it seems to adhere better as well. I usually only use dark because I don't like the residual shiny look that you sometimes get with the clear, if you don't apply it on the lashes just so, but with this product the clear seems to be more forgiving if you make a minor application error. I'm back online ordering two more bottles just to make sure I don't run out. I highly recommend this adhesive.